This post begins in the late 1740’s and ends in 1841. Recall that the first four generations are probably ours by circumstantial evidence. With John we enter the certainty of court-sworn documents. Thomas was a boy when his father died. He lived about five decades in Lunenburg and Mecklenburg Counties, Virginia. He married a Lamkin girl whose father had moved to the area. Most or all of their children were born in Virginia. Then Thomas and his rather large family move to Edgefield District, South Carolina, where his older sister Susan had moved. Finally Thomas, Hannah, and some of his family go on to Tuscaloosa County, Alabama, where he passed away about five years later, as an elderly man. About ten years later she died too in that county. Their living documents, and those of their children, tell their life story. Thomas and Hannah enjoyed a three-state life: Virginia, South Carolina, and Alabama. He was born before March 7, 1758, probably in 1746-1749, and probably in Spotsylvania County, Virginia, but possibly in Lunenburg County. He married Hannah Lamkin October 23, 1769, in Goochland County, Virginia. He moved to Edgefield, South Carolina in the late 1790s, where his kids came of age. He died before March 20, 1830, in Tuscaloosa County, Alabama. He lived to be in his early 80’s. Thomas appears in the Orphan Court as a minor, when John’s will was probated March 7, 1758 (Order Book 5, p. 35). From all the other records, Thomas came of age about 1768-1771. To be bound out means that Thomas served in a family as an apprentice, learning the agrarian or artisan way of life. He gets to be free when he reaches about seventeen years old, more or less. He was involved in a lawsuit when he was a minor. But he could contest the outcome when he reached seventeen to twenty-one, the fluid age of majority back then. All of this jostling about cannot have been easy on him, soon after losing his father. He married Hannah Lamkin October 23, 1769, in Goochland County, Virginia. Why marry there, when they were living in Mecklenburg County? See Hannah’s section, next, for an answer. They appear in a number of records, in Mecklenburg, but they move to Edgefield District, South Carolina, after 1797 and by 1799. Thomas died intestate (no will) before March 20, 1830, in Tuscaloosa County, Alabama. We know the date is right because he first appears as deceased in his son (our) William’s own probate final account, back in Edgefield District. However, Thomas’ probate was not finished until January 14, 1835, in Tuscaloosa County, Alabama, where his estate was appraised (Inventory Book 1830-1836, pp. 345-46). His son George Wilbourn was appointed administrator. Why did it take so long for Thomas’ probate to be initiated in December 24, 1834? Three possible reasons: (1) His wife Hannah was still alive, so she took over his meager estate; (2) documents are evidently missing from Thomas’s probate, so maybe one or two were dated earlier, but this is an argument from silence; (3) much of Thomas’s estate – e.g. his real estate – was intermingled with his son George’s (so says the inventory). So for the first and third reasons, what hurry were the Wilbourns in, to settle matters? She was born July 28, 1751, in Northumberland County, Virginia. She died before October 14, 1841, in Tuscaloosa County, Alabama. In fact, she probably died before the 1840 Census was taken in spring to June, same county, since she does not appear in it, though she did in the 1830 Census, living with her son George. She lived to be 89 to 90 years old. Her family was “middle class” landowners and farmers in Northumberland and Westmoreland Counties, Virginia, on the Atlantic. Her father was James Lamkin, and his father was James Lamkin Sr., who left a will in Northumberland. James Sr.’s father was George, and George’s father was Thomas, and already we’re in the 1650’s. The best evidence says that Thomas Lamkin is the original immigrant, for his records appear in the 1653, as if he’s an established, mature family man. A record about a certain Thomas Lambkin appears in Cambridge, England, in which he is named in a bill of complaint filed by Christ’s College, Cambridge University in 1634. But this is an educated guess as to whether this is the same Thomas as the one who settled in Virginia. But for sure our Thomas Lamkin first appears in Virginia, in 1653. We Wilbourn / Lamkin descendants have a long and rich history in this country. Hannah’s father and family moved between February 22, 1760, when her brother Cleopas was born there, and February 12, 1765, when her father bought land in Lunenburg County, Virginia, in the Woodpecker Creek and Bluestone Cr. area, where Thomas lived, also. Thomas and Hannah met in the Woodpecker and Bluestone Creeks area, but married up in Goochland County, Virginia. Why there, when they were comfortable in Mecklenburg County? Thomas’ father John had died when Thomas was a minor, and he had cousins up there, so they went north to tie the knot. One or two other Wilbourns did this too, though at different times. In most deeds, a dower relinquishment section is added to the end. It says a wife freely permits the husband to sell the land. Interestingly, on October 13, 1797, in Mecklenburg County, Virginia, in Hannah’s dower relinquishment section, it is recorded that Hannah cannot “conveniently” come to the court house. So the justices permit at least two men to go out to her place and interview her apart from her husband. Of course, on October 28, “in the 22nd year of the Commonwealth” of Virginia, she is recorded as allowing the deal. The main question: what was happening that disabled her from traveling? Was she ill? She was born in 1751, but she may have been bearing children by 1797, so did she have a problem pregnancy? We have a mystery. Next, Hannah appears, though unnamed, with her husband Thomas in the 1810 Census, Edgefield District, South Carolina, as being 45+ (and he is too). This age does not contradict her year of birth (1751). But one male is 10-15, and so is one female. One male is under 10. Was Hannah really bearing a boy at her age, or is this a grandson or ward of some kind? Maybe the boy and girl 10-15 are also grandkids or wards. Then she appears, though unnamed, in the 1830 Census, Tuscaloosa County, Alabama, living with her son George, who’s 30-39, and next to Thomas Wilbourn who’s 40-49 years old. This Thomas is also her son, most likely (but see a discussion under his section). She is marked down as between 70 and 79, and neither does this contradict her year of birth (1751). Finally, she died intestate before October 14, 1841, when her probate was initiated in Tuscaloosa County. Her sons George and Richard were appointed administrators. In fact, she does not appear in the 1840 Census, so she most likely died before it was taken in the spring to June. Thus, she was 89-90 years old at her decease. The four-name combination of Thomas (father) Hannah (mother), Richard (son), and George (son), all in both Edgefield District, South Carolina, and in Tuscaloosa County, Alabama, is decisive, in identifying Thomas and Hannah. Plus, their (probable) son Thomas appears next to George in the 1830 Census, and he appears in the deeds, back in Edgefield District. So we have a five-name combination, in the same two places and in the same timeframe. Therefore, we are tracking the right Wilbourns. We are very glad to give Thomas and Hannah the recognition they deserve. As far as we know, they never met fellow Virginians George Washington or Thomas Jefferson. Our two ancestors were not famous. But Thomas and Hannah did their fair share and had a role to play during a critical moment in our nation’s history. They deserve our gratitude, and we’re proud to bring their names and contribution to light, so we can respect them today. Their children’s birth order could be rearranged, within limits, but this one has been chosen after an examination of all the available records. Thomas and Hannah lived the first two decades of their married life in Virginia, but their children came of age in South Carolina. Their records reflect their adult life in that state. Then most of them moved further south. Their records live for us today, telling their story. Let’s go into detail about them. She was born in 1778, Virginia, per her 1850 Census. She married Henderson Wade, January 6 (minister’s return the 11th), 1795, in Mecklenburg County, Virginia. So she was 17 when she tied the knot. Her descendants say she died February 27, 1852, Pontotoc County, Mississippi. Henderson was baptized July 22, 1810, per the Bethany Baptist Church membership list, in Edgefield District, South Carolina. He died December 6 or 8 (smudged), 1830, Edgefield District, per the same church records. We know Elizabeth was a member of the same church since she asked for a “Letter of Dismission,” (on what that means, see below), but so far we have not been able to find her baptism date. Sometime between Henderson’s and Elizabeth’s marriage in Mecklenburg County, Virginia, and their first appearance in the deeds, December 1797, in Edgefield District, South Carolina, they migrated to South Carolina. They were part of a large migration from Virginia, southward, into North Carolina, South Carolina, and Georgia, around this same time, albeit some earlier, others later. Brother Wade was appointed with others to look into a theft, by John Adams, of a meal bag, and other disorderly conduct (swearing, lying, and attempting to strike with a chair). A letter was sent to the Baptist Church at Callahan’s Mill and Mountain Creek. March 21: Adams was guilty of the three charges, but not the theft. April 22: Adams had nothing to say, though summoned before the church after the service, so he was excluded from fellowship. Burnet (Burnel?) Wade, Henderson and Elizabeth’s son, was baptized. Lord’s Saturday before Church met dore [door] was opened when 4 was [sic] received 3 white persons and 1 Black named Ann Harrison, Hannah Wade, Ann Chiles, Sukey L. Olivers, they was [sic] all Baptized. Hannah Wade was Henderson and Elizabeth’s daughter. The membership list says Hannah was baptized October 23, 1831. She received her “Dismission Letter” January 15, 1833. A dismissal letter means that a member requests a letter because she is leaving the area. She is in good standing with the church and has its blessing to depart. On the second Lord’s Day of Feb’y Church met for prayer meeting, dore [sic: read “door”] opened received by experience two Black Members Jim and Letty his wife, both belonging to Widow [Elizabeth] Wade. March 25, 1832: Widow Wade’s slave Jim was baptized. April 4 or 21, 1832: A slave named Lavinda, belonging to Widow Elizabeth Wade, was received to be baptized, along with Sukey (pronounced Sookee), belonging to Robert Harrison. Lavinda was baptized that day, while Sukey was baptized May 4. April 22, 1832: Widow Wade’s slave Letty was baptized. August 30, 1832 (Thursday): Thomas Butler, probably Henderson and Elizabeth’s son-in-law, had the door opened to him for membership. He was baptized October 5. January 15, 1833: Burnett (Burnel?) Wade is “dismissed by letter,” meaning he left with the church’s approval and was in good standing. Hannah Wade is also “dismissed by letter” on the same day. Anyway, the date of the dismissal letters, plus the deed and census records, next, give us a hint as to the timeframe for their move to Alabama. As usual, the 1810 age ranges are too broad for precision, but Henderson’s is 26-44 (born 1766-1784), and so is Elizabeth’s. Certainly hers does not contradict her 1778 year of birth. They have 2 boys under 10, 2 boys 10-15, and 2 girls under 10. In the 1830 Census, Edgefield, South Carolina, Henderson is noted as 50-59 (born 1771-1780), and Elizabeth is 40-49 (born 1781-1790), but see the 1840 and 1850 Censuses, which are probably more accurate for her. One boy is 15-19, and 1 is 20-29; 2 girls are 10-14, and 1 is 15-19. Henderson died in December of that year, so he still appears as the head of household. In the 1840 Census, Sumter County, Alabama, Elizabeth is named as the head of household and marked down as 60-69 years old (born 1771-1780). One son lives with her, 20-29 years old. Next door is her son John Wade; her nephew by marriage, William Webb (m. Elizabeth Wilbourn, daughter of our William, in the post, next); and her son-in-law Thomas Butler, who married her daughter Rebeckah. In the 1850 Census, Pontotoc County, Mississippi, she lives with her son Henderson Wade, a 32-year-old farmer. She’s recorded as 72 years old (= born 1778) and from Virginia. They live alone, so Henderson Jr. was unmarried and childless at that time. Henderson drew up a will December 5, 1830, in Edgefield, where it was probated, January 3, 1831. The church records of Bethany Baptist say he died December 6 or 8 (smudged), 1830. He made his will just in time. So he knew his time was at hand. Here are links that look into the Wade family: Here, here, and here. Jeremiah was born in the late 1770s and early 1780s. He married Mary (Polly) Hudson around 1800 or 1806-07, per her census data in Edgefield District, South Carolina, and Taliaferro County, Georgia (see Polly’s census section, below, for a discussion). In any case, since Jeremiah appears in the deeds for the first time in 1809, in Edgefield District, as a buyer, not a seller, it could be that he and Polly moved there from Mecklenburg County, later than the rest of his Wilbourn family, who moved there before February 6, 1799. For all we know, Jeremiah and Polly may have helped her elderly father William Hudson move there, before November 28, 1809, when he left them a deed of gift. But all of these details are an unsolved mystery. One thing is not a mystery, however: Jeremiah died before November 2, 1829, when his will was probated, in Taliaferro County. He predeceased his mother Hannah who lived to an advanced age. He may have predeceased his father Thomas, who died before March 20, 1830. It is not known yet when or where Mary (Polly) died. Jeremiah and Polly lived interesting lives, as seen by these records. In Edgefield District, South Carolina, Jeremiah’s slave Barnett was baptized September 23, 1810, but he was excommunicated about two years later, April 25, 1812, for adultery. If Polly was born in 1785, then her mother Sarah Hudson (maiden name unknown) got married in her mid-teens. Specifically, Sarah married William Hudson before May 15, 1760, because she first appears in a deed’s dower relinquishment section dated then, in Mecklenburg County, Virginia. Sarah was giving birth to Polly while Sarah was in her early 40s. This young age of marriage and late age of child birth were done often enough back then. So things work out (but just barely). We cannot find Jeremiah and Polly in the 1820 Census. They may have been in transit to Georgia in that year, for Jeremiah drops out of the records back in Edgefield, South Carolina, after 1817. Before November 2, 1829, Jeremiah died, when his probate was initiated. A search for him in the 1830 and 1840 Censuses “confirms” his absence. The 1830 Census, Taliaferro County, Georgia shows a Mary Willbourn between 30 and 39 years old (birth range = 1791-1800), and this seems too young to be Polly, unless she and Jeremiah got married around 1806-07 and she was a mid-teen. This is a definite possibility. In that case, her mother Sarah Hudson was giving birth in her mid 40s, if she married in her mid-teens, before 1760. That is also a possibility. Or maybe the census taker marked Polly down in the wrong age column. In any case, if Jeremiah and Polly got married around 1806, they may have moved from Mecklenburg County, Virginia, southward to Edgefield District, South Carolina, with her father William Hudson, who left Mecklenburg after December 1804 and arrived in Edgefield before November 1809. Or they moved down to South Carolina with his father Thomas, 1797-1799. To finish out the 1830 census, living with Mary are 2 boys 10-14, and 1 boy 15-19, and no girls. Jeremiah’s daughters were not minors when he died. In fact, they were married. So they had left the household in 1830, which confirms this census. But Jeremiah indeed has two minor sons (Thomas and George) and one non-minor son (James) at his death (see Jeremiah’s probate, below). So we have some matches with this census and his probate, for age of maturity or majority was a little more fluid back then, than it is today. This is the right Mary (Hudson) Wilbourn and her family, in the 1830 Census. Polly’s father William Hudson deed-gifted some of his property to her on November 28, 1809, in Edgefield District, South Carolina, and it says she’s married to Jeremiah. Note the slave Barnett (Deed Book 30, p. 40). Jeremiah Hudson is not our direct line, but William Hudson is. He was the father of Cairy, who married William Wilbourn. Personally appeared Anderson Crawford who being duly sworn made oath that he did see William Hudson sign seal and as his act and Deed deliver the written Instrument of writing to and for the uses and purposes within mentioned and did also see Joseph Fields with himself subscribe his name as a witness to the due execution thereof. Finally, Jeremiah drew up his will December 22, 1828, in Taliaferro County, Georgia, where it was probated November 2, 1829, so we can conclude he died between those two dates (Will Record A, pp. 64-65). Their children in the will and inventory of the estate: James, Thomas (minor), George (minor), Eliza Lawson, Juliann Daniel. Executors: A. B. Linton and Simon Morris Jr. Wit: R. A. Steele, George Hixson, and L. B. K. Freeman. It is not known so far when and where Mary (Polly) died. He looks a lot like our grandmother, even though Richard is not our direct line. If the link goes dead, do a google search. Richard was born 1771-1780. He married Permelia Minter most likely in 1808-1809, but it may have been shortly before then. If the census data are correct, she was born 1781-1790. His descendants say he migrated to Texas and died in about 1856, DeWitt County, Texas. This does not contradict the known facts about him in Edgefield District, South Carolina and Sumter County, Alabama. It is not known to us (so far) when and where Permelia died. Mack G. is involved with Richard in deeds in Sumter County, Alabama (see below), and is most likely named after his maternal grandfather Mackerness Minter. Thomas: he too is involved with Richard in deeds in Sumter County. George: the same involvement, same place. 1790 Census, St. Stephen’s Parish, Charleston, South Carolina. It could be that Richard Wilburn is in this census. He is a free white male, 16 years and up, single. But this identification with the Richard in Edgefield is not certain. The right Richard for sure appears in the 1820 Census, Edgefield District, South Carolina. He is marked as 26-44 years old (birth range = 1776-1794). One female is 16-25 (birth range = 1795-1804), the earlier year is to be preferred, or this is a census error. Richard and Permelia have four kids (two boys and two girls) under ten years old, and only in that age range, so Richard and Permelia mostly likely married c. 1808-1809. One family tradition says he was married twice, and Permelia is his second wife, but more research needs to be done on that one point. A certain Richard is found in the 1830 Census, Greene County, Alabama. He is between 40 and 49 (birth range = 1781-1790), too young, compared to the 1840 Census (next). A female is between 30 and 39 (birth range = 1791-1800). They have 1 boy under 5; 1 is 10-14; and 2 boys are 15-19. They have 2 girls under 5; 1 is 5-9; and 1 is 15-19. There are mismatches with the 1840 Census, next. Plus, we were unable to find any deed records for Richard in this county. Finally, their neighbors in Greene County do not figure prominently in Edgefield District, so caution must be used with this census in identifying the right Richard. We place it here for your further review. However, the right Richard appears in the 1840 Census, Sumter County, Alabama. He is marked down as aged 60-69, so his birth range is 1771-1780. That’s more accurate than the 1830 Census. Therefore, he could have been born in the mid to late 1770s (see his 1820 Census). One female is between 50 and 59 (birth range 1781-1790), and that fits the facts for his wife Permelia better than the 1820 Census does. One boy is under 5; 2 are 5-9 (probably grandchildren); 2 are 15-19; and 2 are 20-29. The girls: 1 is 5-9 (probably a grandchild); and 2 are 10-14. His residence in Sumter County matches up with other Wilbourns who moved there, like his sister Elizabeth (Wilbourn) Wade and his nephew (by marriage) William Webb and niece Elizabeth (Wilbourn) Webb, daughter of our William, in the next post. The location would still allow him to be the administrator of his deceased mother Hannah’s estate, along with his brother George, back in Tuscaloosa County, Alabama, 1841-1844. In Richard’s younger days, it seems he got into a fight or two – or was accused of doing this. Note: Lamkin is Richard’s mother Hannah’s maiden name. The James named below is likely her brother or a nephew. In the 1780s, the Lamkins moved from Mecklenburg County, Virginia, and settled across the Savannah River in Columbia County, Georgia. Her father James Sr. died there before July 9, 1791. Edgefield District. The State vs. Richard Wellborn: Assault & Battery. No bill. It looks like Richard was streamlining his life. Maybe he had it in his heart that soon he would move further west, to Texas, a state that had just been formed. Edgefield District, South Carolina. Richard appears in his father-in-law Mackerness Minter’s Inventory and Appraisement. Also, Minter died intestate, and Richard and others petition to have the estate partitioned. Richard’s wife is Permelia Minter. 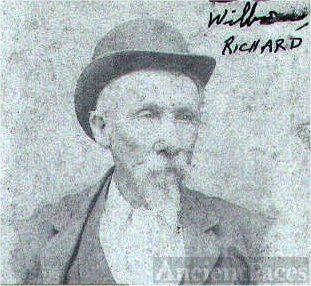 Richard’s descendants say he died in DeWitt County, Texas, about in 1856. We begin in Edgefield District, South Carolina. So what happened to Thomas after 1808? Thomas settled in Putnam County, Georgia. In the 1820 Census, Capt. James Berry’s District, Putnam County, Georgia, Thomas Wilbourn is found. One male is 45+ over and 2 are 10-15. One female is also 45+, and 1 is under 10, and 1 is 10-15. They own 16 slaves. His appearance in the 1820 Census explains why his deed records in Edgefield are so sparse. Significantly, he left a will, written February 27, 1826, in Putnam County, Georgia. The will is long and complicated, as if it has checks and balances. Son: Levi T., who is appointed sole trustee for Thomas’s daughter Patsy Cowan and for his son John R. Also, Levi is appointed executor. Son: John R., who is appointed executor. Thomas has a mercantile firm in the town of Madison, Morgan County, and in the city of Augusta, and John is not liable to them. A separate marriage record says John married Martha King, December 21, 1826. Daughter: Esther Bramlett (? ), who married Jesse H. and resides in Alabama. Jesse is appointed sole trustee for Sarah Tindall, because Thomas has special trust in him. Daughter: Sarah (Sally) Tindall; a separate marriage record says she married John May 12, 1818. They reside in Alabama. Will Probated / Recorded: September 11, 1826; this means he died by that date, predeceasing his (probable) parents Thomas Sr. and Hannah, just like Jeremiah predeceased them. Note: Nancy Wilborn married Frederick Duffee May 1, 1811, in Putnam County, Georgia. This may be the eldest child who predeceased her parents Thomas and Mary or was excluded from the will or is their niece or related in some other way. Normally, this Thomas would not necessarily be considered a son of Thomas Sr. and Hannah, for Thomas is a very common name. But a copy of the will is found in the probate records, Tuscaloosa County, Alabama. Clearly, one or both of Thomas’s daughters Esther and Sarah reside in this county. Recall that Thomas Sr. and Hannah also resided and died in this county. It simply cannot be a coincidence that Esther or Sarah or both moved there too. Further, on January 20, 1838, Sumter County, Alabama, Levi T. Wilbourn, clearly Thomas’s son named in his will, sells one slave named Charles, 19, to John Chaim (? ), for $1000.00; wit: Pardon Bosworth (Deed Book G, p. 359). Recall that this is where Elizabeth (Wilbourn) Wade and Richard Wilbourn reside at this time. They are Thomas’s brother and sister, or perhaps cousins, if the second option is valid. A certain Thomas is single, in the 1830 Census, Tuscaloosa County, Alabama. He appears next to George Wilbourn and an elderly woman (70-79) who lives with George (see him, below). Thomas is marked down as 40-49, so his birth range is 1781-1790. Does he have no family? Historical probability says he would have a family. And two candidates fit the bill as sons. The first one may be Elias Wilbourn, who appears in the Edgefield records. Court of General Sessions (Criminal): 1824 Fall: Edgefield District. The State vs. Elias Wilborn: Assault & Battery. Not guilty. Elias Willborn is also in the 1830 Census, Tuscaloosa County, Alabama (recall that this is the county where Thomas Sr. and Hannah settled). Elias is 20-29, and a female is also 20-29. One boy is under 5. The second son is Isaac, who lives next to Elias and who is also 20-29. One female is 20-29, and one boy is under 5. So Elias and Isaac are the right age to be Thomas Jr.’s sons and to strike out on their own with young families, in the same county as Thomas Sr.’s and Thomas Jr.’s (possibly). And no doubt Thomas Jr. had other kids too. But all of this is conjecture. Wrapping up the two options, it is difficult to imagine two opposites. One Thomas is shown as married. He left a will that shows he had a big family (mostly) of non-minors or grownups. He is dead by September 11, 1826. The other Thomas is unmarried and aged 40-49 in 1830. But both have connections to elder Thomas and Hannah, on some level. My own hunch is that the second option is best. Thomas who actually resided next to elderly Hannah and her son George in the 1830 Census is the son of Thomas Sr. and Hannah, and Elias and Isaac are two of Thomas Jr.’s sons. But you decide between the two options. Or come up with a third. He appears once in an Edgefield deed concerning land on Deep Steep Cr. of Stephen’s Cr. and the Savannah R., September 8, 1808. He had to be at least 21 years old to be a witness, so he could not have been born after 1787, unless the age of majority was more flexible back then, than it is today. In the 1830 Census he is listed as 40-49, so his birth range is 1781-1790, which fits his coming of age around 1808. He is difficult to track down. We have looked for James in the censuses, and several appear, but James is a very common first name, so which one is the right one is unclear. September 8, 1808: Edgefield District. Deed. James Wilborn is a witness to a deed. Martin Hitt sells to Samuel Crafton for $147.75, 98 ½ acres, lying on Deep Steep Branch between Stephen’s Creek and Savannah River, being part of land granted to Peter Morgan 2 Feb. 1795 and resurveyed 9 Aug. 1808. April 1816: Edgefield District: David Mims vs. James Wilbourn – Sum: Pro Dozier: Decree for the sum of twenty dollars and seventy-six cents and costs. He appears in an Edgefield deed, dated November 25, 1813, the plat (map) saying he owns land near his father Thomas on Cuffeetown Cr. The deed shows father Thomas selling land to (our) William (son #1, above). A certain Morton family resided next to our William and his father Thomas, so his son may be named after this family. He is difficult to locate, despite his comparatively rare name. However, since Morton nowhere appears in the deeds as actually purchasing land, it is probable Thomas Sr. gave him some of his. Recall that in 1799, Thomas Sr. had bought 500 acres of three tracts (Deed Book 17, pp. 251-54), and was granted 490 acres, for a very good price, also on Cuffeetown Cr. Possession is nine-tenths of the law. Sometimes the old-timers did not write out deeds, particularly for their offspring, though often they did. Morton most likely came of age around 1813, so he was born in the late 1780s to early 1790s. Thomas Sr. lived near the Morton family, so it could be the case Thomas named this son in honor of them, but that’s unconfirmed. However, in the 1830 Census, Thomas Sr.’s son George (see him next) has two unnamed men living with him, marked down as 30-39, same age range as George. Could one be Morton? Anyway, it is not yet known whom Morton married or when and where he died. He was born 1791-1800. He married Susannah (last name unknown) about 1818-1820. Sometime in or after 1821, they moved to Tuscaloosa County, Alabama. After Susannah died, George remarried to Virginia. He died before December 20, 1842, Tuscaloosa County, when and where his estate inventory is taken. It is not yet known when Susannah died, but she does not appear in the 1840 Census, so she most likely passed away before it was taken in the spring and summer. This absence also explains why she does not appear in the inventory of George’s estate. Virginia, George’s second wife, died before January 1, 1847, when her final accounts were in the process of being settled. He lived a well-documented and interesting life, moving with his elderly parents to Alabama. Also Brother George Wilbourn and Sister Susannah Wilbourn, having removed [moved away] without make application for Letter of dismission [dismissal], and whereas Brother George Wilbourn has since returned back into the settlement he has left, and during the time he tarried, he made no application to the church, nor did not attend meeting, but again has returned without a letter, the Church therefore nominated clerk to to [sic] write to them to enquire the cause of their proceeding. However, “application being made by Sister Susannah Wilbourn for a letter of dismission [dismissal] the Church granted her request and directed the clerk to prepare and send the same.” So the letter was granted to her, May 26, 1821. No doubt that since George is not found in the deeds as having purchased any land, his “settlement” was a portion of his father Thomas’s nearly 1000 acres. The matter seems to have been dropped without a satisfactory answer, for it does not reappear in the church minutes thereafter. George appears in the 1830 Tuscaloosa County, Alabama Census, marked down between 30 and 39 years old (birth range = 1791-1800). A female is 20-29 (birth range = 1801-1810), the earliest year in the birth range is to be preferred. One female resides with them, aged 70-79. Clearly this is George’s mother Hannah, who was born July 28, 1751. (Sure enough, her probate is found there). In the 1830 Census, 1 boy is under 5, and 2 girls are also under 5. Oddly, two more males are marked down as 30-39. Could they be George’s brothers like Morton who moved with him and their parents Thomas and Hannah? George appears in the 1840 Tuscaloosa County Census, and his age is 40-49. His mother Hannah does not live with him. In fact, the two oldest girls are 10-14, so clearly George’s wife Susannah died before the census was taken from spring to June. One girl is under 5. One boy is 5-9; 1 is 10-14; and 1 is 20-29. Most significantly, George appears in his bother William Wilbourn’s estate account (son #1, above), back in Edgefield District, South Carolina, March 20, 1830, as the administrator of the elder Thomas, decd, father of both George and William. William is our direct line. Peter H. is William’s son and executor, and Cairy, now a widow, is his wife and executrix. 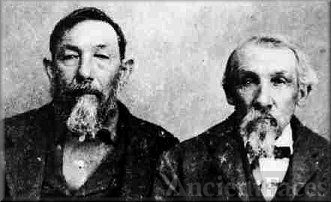 William and Cairy are our direct ancestors; their post is next. So now we know Thomas Sr. died before that date. This three-name combination of Thomas (father), George (son and administrator), and William (son), is decisive. We’re looking at one family, and this is near-legal proof of the father and son relationships, though no record says “father and son,” for Thomas died intestate (no will), in Tuscaloosa County, Alabama. Also, George and his brother Richard were appointed administrators of their mother Hannah’s meager estate by October 14, 1841, Tuscaloosa County. So now we know she died before that date, and most likely before the 1840 Census was taken in the spring, up to June, for she’s absent from it. To sum up this section, it is now clear that William, George, Thomas Jr., and Richard are four of Thomas and Hannah’s sons. George died intestate (no will), before December 20, 1842, when the inventory of his estate was taken, in Tuscaloosa County (Inventory Book 7, pp. 139-43). This date of death explains why he was appointed administrator of his mother Hannah’s estate in 1841, but then drops out of her records. Her probate, meager as can be, was not yet wrapped up even by 1844. These delays in settling her probate are probably due to her son George’s death, complicating the closing of her estate. Eliza Wilborn is named a legatee. W. M. Wilborn is named a legatee. Susan G. Wilson figures often in the final account, and she may be the married daughter of George and Susan. John C. Wilbourn: he is sent to Havanna, Alabama, for schooling. The relative ages match up with census records, and the names match up in the mutual probate papers of George and Virginia. Therefore, George married twice: (1) Susannah and (2) Virginia. The non-minor children both in George’s and Virginia’s final accounts are probably Susannah’s. Source: Tuscaloosa County Probate Inventory is placed in alphabetical order. In the 1810 Census, Edgefield District, South Carolina, one female, unnamed, is marked in the 16-25 age group, living in Thomas Wilbourn’s household, so she was born 1785-1794. Since Edgefield kept no marriage records back then, we don’t know what her married name is or where she moved, if she did. In the 1810 Census, Edgefield District, South Carolina, one female, unnamed, appears in the 10-15 age group, living in Thomas Wilbourn’s household, so she was born 1795-1800. Since Edgefield kept no marriage records back then, we don’t know what her married name is or where she moved, if she did. In the 1810 Edgefield Census, an unnamed male under 10 years old is noted, living in Thomas Wilbourn’s household. A certain Caleb appears once in an Edgefield deed, August 29, 1821 (Deed Book 38, p. 249). Caleb could be this boy. If he was 9 years old in 1810, then he was born c. 1800-1801. That means his mother Hannah was giving birth in her late 40s, not an impossible feat. Or Caleb could be a son of the older Wilbourn offspring, a grandson of Thomas and Hannah. It was not impossible that grandparents took care of a grandson (it happened in our Ryland lineage), and that’s why he appears so young in the 1810 Census. Or the 1810 Census marked a son down in the wrong age column. A certain Caleb appears in the 1846 Republic of Texas Poll Lists of 1846. He lives in DeWitt County. His place of origin is not listed. It is interesting that Richard Wilbourn (child #4, above) is said to have died in DeWitt County, also. However, since we don’t have enough information about Caleb’s connection to Thomas Sr., it is best to say we don’t know (so far) who Thomas Sr.’s youngest son was. Let’s return to Thomas and Hannah, the subject of this post. They enjoyed a three-state journey: Virginia, South Carolina, and Alabama. Mecklenburg County was formed out of Lunenburg County in 1764/5. Thomas’s father John died before March 7, 1758. The deed entries imply that Thomas and his mother Judith still resided on the same land without moving when Mecklenburg County was formed. It is on the border with North Carolina. Thomas lived close to the Lunenburg County border, but he had property elsewhere in Mecklenburg County. This waterway map gives the name and location of the creeks that appear in Thomas’s records – and his father John’s. Little Bluestone is 23; Middle Bluestone is 24; and Bluestone is 25; Finneywood is 1; Woodpecker (unmarked location) is a branch of the Bluestone creeks. This section about Thomas and Hannah’s life in Mecklenburg County is divided into deeds, polls, court orders, probate (other than Thomas’s), and a marriage security. He sells his property in the Bluestone Cr. area, in 1797, which prepares the way for their move to Edgefield District, South Carolina, where and when a deed appears in February 1799. In the next deed, James is Hannah’s father and our direct line. The Wilbourns lived not too far south of Chase City. Names like Finneywood, Skipwith, and Swepson fall within Thomas’s acquaintance. Thomas Wilbourn sells 142 acres to Henry Howard Dedman, for 60 pounds. The tract is bounded Greg’s and Wilbourn’s line, Spain’s and Wilbourn’s line, Spain’s and Fowlke’s line, Greg’s and Harrison’s line. Signed Thomas (X) Wilbourn; wit: Thomas Wilson, James Hester, Thomas Vaughn, James Black. Hannah relinquished her dower rights; Hannah (X) Wilbourn (Deed Book 9, p. 350). Thomas Wilburn and John Wilburn witness the will of Benjamin Ragsdale. Ragsdale’s wife is unnamed; children: Daniel, Rachel Moore, John, Mary Rowland, Richard, Peter, Thomas, Winifred Ragsdale, Godfrey, Jesse, William, Benjamin; refers to land on lower and upper side of Bluestone Cr. executor: son William; other witness: Stephen Clark; rec: May 9, 1772 (Will Book 1, p. 123). Drury Ragsdale marries Susanna Mealer, and Thomas Wilbourn puts up security bond. According to the deed records, they moved from Mecklenburg County, Virginia to Edgefield District (County) in about 1797 to 1799. His older sister Susan Wilbourn and her husband James Harrison had already lived there for at least a decade. May 30, 1799, 490 acres on both sides of Cuffeetown Cr. in the district of Ninety-Six, in Edgefield County. People went to SC for cheap land, by Act of the Legislature, passed 19th of February 1791. Modern county borders. Edgefield borders the Savannah River and Georgia (Richmond and Columbia Counties); Other Wilbourns and James Lamkin (Hannah’s father) had earlier settled in those two Georgia Counties. The 1810 Edgefield Census places Thomas in the 45+ age column, allowing him to be a minor in his father’s probate back in Lunenburg County, VA, in 1758. One male is 16-25; one male is 10-15; and one male is under 10. One female (Hannah, though unnamed) is 45+; one female is 16-25; and one is 10-15. They were probably in transit around 1820, on their way to Tuscaloosa County, Alabama. So maybe that’s why we can’t find them in the 1820 Census. Court of General Sessions (criminal): Thomas Wilborn served on the Common Pleas Jury. The best calculations say that Thomas and Hannah and their son George left South Carolina for Tuscaloosa County, Alabama, in the early 1820’s. On March 3, 1817, Mississippi was admitted into the Union, and Alabama was made a territory. St. Stephens was made the capitol. By an act of the territorial legislature passed February 7, 1818, Tuscaloosa County was created. By an act of Congress, passed the same day on which Alabama was made a territory, the position of surveyor general was created, and General John Coffee was appointed surveyor general for northern Alabama. This same act provided that certain town sites were to be reserved for entry and sale as public lands. These reserved sections were to be laid off into streets and lots, and the lots were to be sold to the highest bidders whenever the President of the United States should direct. In the first ten years of its existence Tuscaloosa had grown to a town of about 1,500 people. In 1826 the population of the county was about 10,000. Churches, newspapers, and a few private schools had been established. The principal roads of the county had been laid out and river traffic established. The little town was ready to go on to bigger and better things. Gorgas House, the oldest surviving building of the University of Alabama, was completed in 1829 (the Portico was added in 1859). Thomas and Hannah were alive when it opened. Were they too old to go there and see the building? In the next census, this is not Thomas Wilbourn Sr. (our direct line), but likely his son of the same name (not our direct line). Thomas Sr. had already died. Can you spot where Hannah is in the census, though she is unnamed? Living with her son George, Hannah is marked down in the 70-79 age column. This age span does not contradict her date of birth: July 28, 1751. Her husband Thomas was already deceased, by March 20, 1830. George’s household: 3 males are marked down as 30-39 years old; and one male is under 5. In addition to Hannah in the 70-79 column, one female is 20-29 years old, and two are under 5. Thomas (Hannah’s son) resides next to George, and there is only one male, 40-49. Three males are marked 30-39, and surely one is George. But who are the other two? Brothers Morton and James? On this date, James Davis, John McCann, and John Bross (? ), took the inventory and valuation of Thomas Wilbourn’s estate. I do hereby certify that the subscrib[ers] of the above valued property were duly sworn & subscribed their names before me 24 day of Dec’r 1834, John Millen, Justice of the Peace. The foregoing appraisement contains a true inventory of the Estate of Thomas Wilbourn so far as the same has come to my knowledge, subscribed and sworn to before me this 14th day of January 1835. Here is the Bill of Sale of Thomas’s estate. January 1, 1835. Here is the Bill of Sale of Thomas’s estate. Sale Bill Estate of Tho’s Wilbourn, property sold, belonging to the Estate of Tho’s Wilbourn, on the 1st day of January 1835. The within contains a true amount of the sales of the personal property belonging to the Estate of Thomas Wilbourn so far as I know or believe. Only one key document is included, because of Richard Wilbourn and George Wilbourn, two of Hannah’s sons, appear in it. Incidentally, George died during his administrative duties, slowing the completion of Hannah’s probate. December 12, 1841. This is the Letter of Administration that appoints Richard Wilbourn, George Wilbourn, and Cader B. Keaton (probably a family friend) as administrators of her estate. Know all men by these presents that we Richard Wilborn, George Wilborn & Cader B. Keeton are held and firmly bound unto Marmaduke William, Judge of the County Court of Tuskaloosa [sic] County and his successors in office in the penal sum of seventeen hundred dollars the payment of which well and truly to be made all and each of us do bind ourselves our heirs and executors etc, ? and firmly by these presents, sealed with our seals and dated this 12th day of December 1841. The condition of the above obligation is such that whereas the above bound [blank] Wilborn has been appointed administrator of the estate of Hannah Wilborn deceased. Now if the said [blank] Wilborn shall well and truly perform all the duties which are or may be by law required of him as such administrator, then the above obligation to be void, else to remain in full force and effect. Hannah’s first probate document, not included here, appears October 14, 1841. So Hannah died before then. In fact, she doesn’t appear in the 1840 Census, though her son George does, and she resided with him in the 1830 Census. So she probably died before the 1840 Census was taken in the spring through the summer of that year. Thomas Wilbourn and Hannah Lamkin were products of their own times. At first they were Virginians, and then they became citizens of the proud Deep South, in South Carolina. Like other early Americans, they migrated westward and a little southward. Alabama was their final adopted home. We’re not sure where specifically Thomas was born. It could have been in the northern County of Spotsylvania; the central Counties of Goochland, Louisa, or Cumberland; or in the southern County of Lunenburg. His birth was probably around 1746-1749. By a stroke of good fortune, we know Hannah was born in Northumberland County, Virginia, on July 28, 1751. Someone back then kept good records in that county. Thomas and Hannah, though settled in Mecklenburg County, went up to Goochland County to get married on October, 23, 1769. Why did they travel all that way? He had cousins and aunts and uncles up there. Thomas and Hannah grew in prosperity. They gradually accumulated land in Mecklenburg County, Virginia, where they evolved from a young to a middle-aged couple. They lived near her father James Lamkin, and he and his sons appear everywhere in the records. Thomas and Hannah moved to Edgefield District, South Carolina, after October 1797, when he sold land back in Mecklenburg, and before February 1799, when he bought land in the South Carolina County on the other side of the Savannah River from James Lamkin. Then they bought and sold a lot of land there, often to their own offspring. We cannot find them in the Bethany Baptist Church records. But there were other churches in the area, so maybe they belonged to one of them. Sometime in the early 1820’s, Thomas and Hannah and son George, and maybe other kids, like Thomas Jr. and Caleb, moved to Tuscaloosa County, Alabama, buying almost 160 acres, for cheap. For sure Richard and his family went out there as well. How do we know Thomas, Hannah, Richard, and George moved in those years? That’s when Bethany Baptist Church, Edgefield, was inquiring into why George left the church. His wife Susanna requested a letter of “dismission” in 1821. Maybe that’s why Thomas and Hannah do not appear in the 1820 Edgefield Census. They were in transit. Thomas lived in their new state of Alabama for about five years. He died before March 20, 1830, where he appears in his son William’s probate back in Edgefield and is cited as deceased. This explains why he does not appear in the 1830 Census. Hannah lived yet another decade past her husband, dying probably just before the 1840 Census was taken. Getting news about a deceased child is never easy. Hannah for sure heard about two of her sons: (our) William and Jeremiah. Her husband Thomas also predeceased her. In fact, she experienced those three deaths within a short timeframe, from about early 1828 to early 1830. This elderly couple did not own very many slaves (he owned six) by the end of their life (she owned one), though their sons did. They were part of their historical context. And plantation owners back then had slaves. One interesting highlight: Thomas’s probate records say he owned a fiddle. He was musical. Who taught him? Was he self-taught? Recall that his father John owned a Psalter, a songbook based on the Psalms. Could it be that he passed on this music gift to his son? Could it be that the musical gift was inherited by Ella (Rae), our grandmother? Hannah lived to be 89-90, and Thomas died in his early 80s. Music filled their lives. Because of their music and nearby family, it is easy to imagine them happy during their long lives. Once again, here is a key document that links Thomas Wilbourn with his son William Wilbourn (our direct line). It’s William’s probate. This document goes a long way in proving the link of the chain from one generation to the next. Thomas and George lived in Tuscaloosa County, Alabama, where Thomas died, while that table comes from Edgefield, South Carolina, and William Wilbourn’s probate. The fact that George, the administrator of Thomas’s meager estate out in Tuscaloosa, Alabama, went to all that trouble to communicate a great distance with his sister-in-law Cairy Wilbourn (William’s wife) back in Edgefield, South Carolina, that Thomas was deceased means that Thomas is the father, and George and William are two of his sons. William’s long post is next. Elliott, Katherine B. Early Wills 1765-1799, Mecklenburg County, Virginia, self-published 1983. —. Revolutionary War Records, Mecklenburg County, Virginia. Easley, SC:Southern Historical P 1983. Rpr. from 1964. —. Early Settlers, Mecklenburg County, Virginia, 2 vols. Easley, SC: Southern Historical P, 1983. Rpr. from 1964. Mecklenburg County, Virginia Deeds, 1765-1771. T. L. C. Genealogy, 1991. Mecklenburg County, Virginia Deeds, 1771-1776. T. L. C. Genealogy, 1991. Nottingham, Stratton. Marriage License Bonds of Mecklenburg County, Virginia from 1765 to 1810. Onancock, VA, USA: Stratton Nottingham, 1928. Vogt, John and T. William Kethley, Jr. Mecklenburg County Marriages. Athens, GA: Iberian, 1989. A lot of time was spent researching microfilms of deeds and court order books that have not yet been abstracted. Wells, Carol. Edgefield County, South Carolina, Deed Books 39 and 40. Westminster, Maryland: Heritage, 2006. —. Edgefield County, South Carolina, Deed Books 36, 37, and 38. Westminster, Maryland: Heritage, 2001. —. Edgefield County, South Carolina, Deed Books 34 and 35. Westminster, Maryland: Heritage, 2000. —. Edgefield County, South Carolina, Deed Books 32 and 33. Westminster, Maryland: Heritage, 2000. —. Edgefield County, South Carolina, Deed Books 30 and 31. Westminster, Maryland: Heritage, 1999. —. Edgefield County, South Carolina, Deed Books 27, 28, and 29. Westminster, Maryland: Heritage, 1998. —. Edgefield County, South Carolina, Deed Books 23, 24, 25, and 26. Westminster, Maryland: Heritage, 1998. —. Edgefield County, South Carolina, Deed Books 19, 20, 21, and 22. Westminster, Maryland: Heritage, 1997. —. Edgefield County, South Carolina, Deed Books 16, 17, and 18. Westminster, Maryland: Heritage, 1997. Wooley, James E and Vivian. Edgefield County, SC, Wills. Greenville: Southern Historical P, 1991. Rpr. 2007. The county clerk today has arranged all the probate packages in alphabetical order. Hard searching has been done in deed records that have not yet been abstracted. Fleet, Beverly. Virginia Colonial Abstracts: Northumberland Co. Record of Births, 1661-1810. Vol. 3. Baltimore: Genealogical Publishing Co., 1961. Jones, Mac. W., ed. The Douglas Register, Being a Detailed Record of Births, Marriages, and Deaths, Together with Other Interesting Notes, As Kept by the Rev. William Douglas, 1750-1797. Richmond: J. W. Ferguson and Sons, 1928. The other sources have been cited in the individual records in the main body of this post. Here are links that look into the Wade family. Sources for the will: Putnam County, Georgia, Will Book B, pp. 57-60, and Tuscaloosa County, Alabama, Will Book A, pp. 39-43. Source for marriages: Edward F. Hull, Early Records of Putnam County, George 1807-1860, Old Cemeteries, Wills, and Marriages (self-published, no date). Source for the creeks of Mecklenburg County: Katherine B. Elliott, Early Settlers, Mecklenburg County, Virginia, vol. 1 (Easley, SC: Southern Historical P, 1983 ), pp. 73-74. United States, Bureau of Land Management. Alabama Land Records [database on-line]. Provo, UT, USA: Ancestry.com Operations Inc, 1997. Original data: United States. Bureau of Land Management. Alabama Pre-1908 Homestead and Cash Entry Patent and Cadastral Survey Plat Index. General Land Office Automated Records Project, 1996. This entry was posted in Family History and tagged Henderson Wade, Jeremiah Wilbourn, Richard Wilbourn, Thomas Wilbourn and Hannah Lamkin, Welborn, Wilborn, Wilburn by james malcolm. Bookmark the permalink.